Attention Minority and Women-Owned Businesses! Enter The Pitch contest! Minority, women entrepreneurs give The Pitch! WKBW News Story - Minority women entrepreneurs give The Pitch! ECIDA staff participated in the annual WNY United Way Day of Caring on Wednesday, August 17. Staff volunteered as Big Brothers and Big Sisters for the day, playing games and sharing activities under the guidance of Big Brother Big Sister leaders. Members of the ECIDA Business Development Team attended a lunch and learn session Wednesday, August 3rd with UB/WIN's Buffalo Student Sandbox participants. 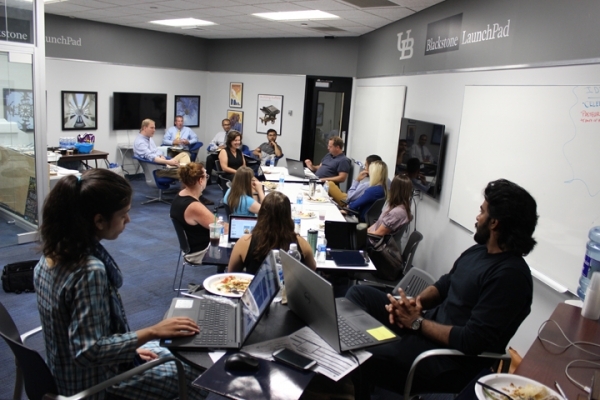 Led by UB's Tom Murdock, the group gathered on the North Campus at the Blackstone Launchpad. The group discussed a range of topics, including challenges in finding financing, getting audiences interested in new technology, and the benefits of learning from other entrepreneurs. 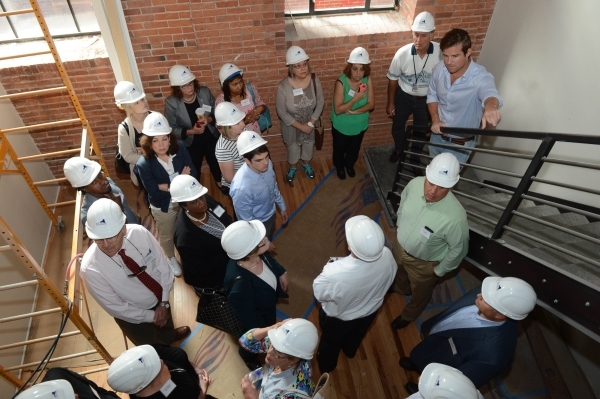 On Wednesday, June 29 the ECIDA hosted a bus tour of four properties incentivized by the ECIDA's Adaptive Reuse program. ECIDA Board members, stakeholders, City officials and others toured the properties and heard from developers about the unique challenges they face in rehabilitating historic structures. Matt Conners (right, on stairs) from Sinatra Development describes what the lofts at the former Phoenix Brewery will look like once they are completed. 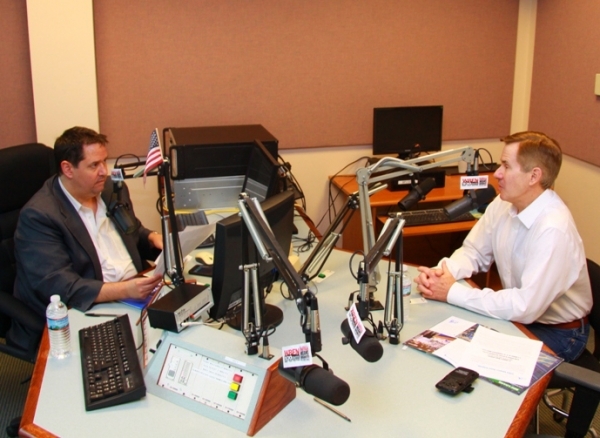 Listen to ECIDA President & CEO Steve Weathers talk about the ECIDA loan programs on WBEN 930-AM's "Buffalo Means Business" July 2, 2016 Program. The Greater Buffalo Building & Managers Association (BOMA) welcomed the ECIDA's own facilities site manager Phil Riggs and business development officer Grant Lesswing at their March meeting to discuss ongoing progress on the Net Zero manufacturing facility. Another opportunity for MWBE/minority and women business owners! 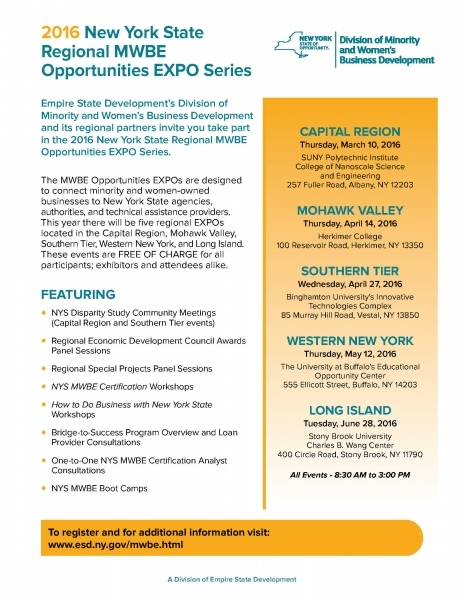 The New York State Regional MWBE Opportunities EXPO Series comes to Buffalo on Thursday, May 12 at UB's Educational Opportunity Center. 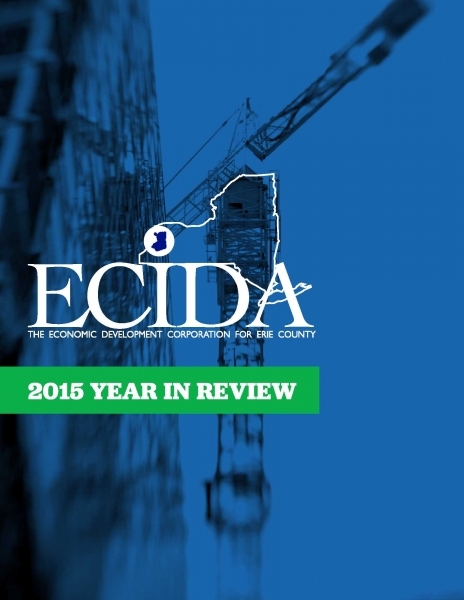 Download ECIDA 2015 Year in Review PDF here.